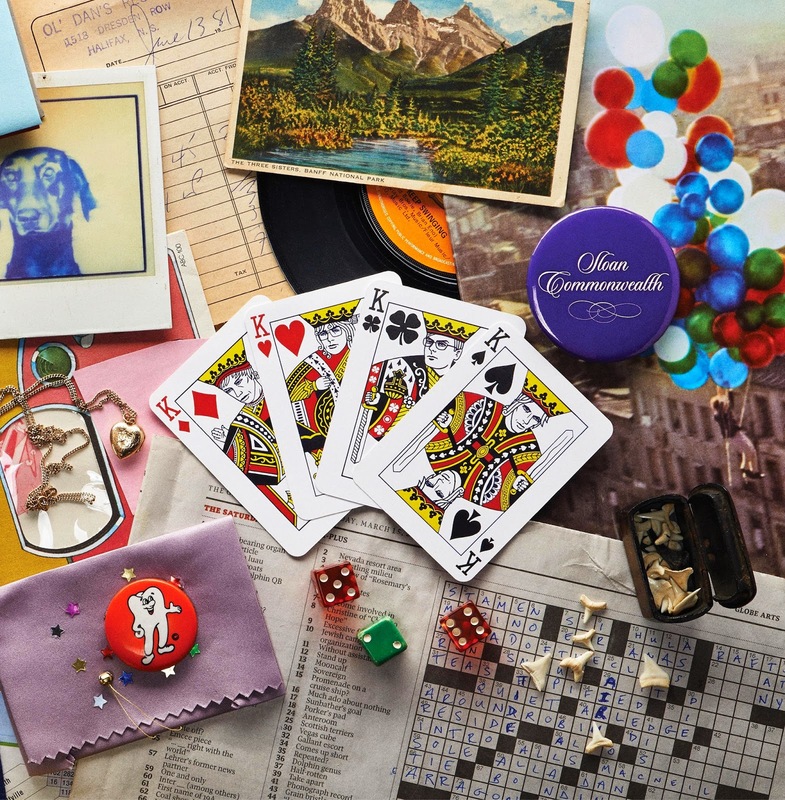 Iconic Canadian alternative rock band Sloan release their new album Commonwealth on September 9th. On this record the songs are split into four solo 'sides', one for each band member's songs. I had the opportunity to speak with the group's Patrick Pentland to talk about the new record. T.O. Snob: Thank you very much for taking the time to speak with me. I've been a fan since high school when Smeared came out. All four of you guys have always shared the writing, so why this time around for Commonwealth did you choose to highlight that by each having your own side?PP: I think it was just trying to find and angle, for something interesting to do for the record for us. We've made a bunch of records. In the background there's always been people saying 'why don't you do a solo record' or 'why don't you all do solo records' and we've never been that interested in doing full solo records. But it seemed like a fun thing to do, for each of us to have a certain amount of real estate on a record, do our songs in a row and not divide them up. T.O. Snob: So that was by design from the get-go?PP: Yeah we knew from the beginning that we were going to do it this way. We just didn't know how we were going to do it, whether we were going to do separate EPs or if we were going to do it all in one record. Finally we thought if we could fit enough music on one CD and two vinyl let's try to do it that way. T.O. Snob: Did that effect the way you were going to write the songs?PP: For me I knew that eventually the songs I was doing would be all in a row, so I wanted to make sure that there was a little bit of a flow between them all. I think maybe for Andrew who just did one big long song that the fact he knew he was going to have a side influenced him writing one big long 18-minute song rather than a bunch of little songs. T.O. Snob: That takes away one of my questions: Andrew Scott- slacker of not a slacker for having only one song?PP: I don't think so. We've learned the whole song, and it's not really one song, it's a whole bunch of songs jammed together with repeating themes. T.O. Snob: So are you guys going to play that one live?PP: I think we will. Although it won't be as long, because there are some parts, like the beginning where there are 4 minutes before the song even kicks in. We know how to play it all, but I don't know if he's going to want to do the whole song every night or if we'll just play a section. We have been playing a little bit of it live at festivals already. T.O. Snob: Personally, in your own writing style what do you think your unique place is and what do you bring to the band?PP: I think in answering that question it could sound like I'm criticizing the other guys, but I'm not. I like to be to the point. Production-wise I tend to keep it pretty simple. Just guitars and vocals essentially. But I'm not interested in a lot of oooohs or backing vocal tricks or keyboards or stuff like that. The music I tend to listen to is a little more stripped down. I don't tend to listen to a lot of Fleetwood Mac or The Beatles or anything like that. I keep it rough and to the point. T.O. Snob: Everybody's style is really accentuated by having all the songs in a row. It forced me to go back and look at the old album credits and see who wrote what because I had never done that before. Do you think record will inspire other fans to do the same and look at the previous work with some new insight?PP: I'm not sure, because in my mind I have always hoped that people would know who was writing and producing which songs. On previous records I hope people would know that the songs that I sung or produced were the songs that I wrote, and the same with everyone else in the band. That's why as we're promoting this as four solo sides it's not really that new to me because we've always done it that way, we just haven't put all the songs by each songwriter together. But now it's becoming apparent that people have often not been aware that it's four different guys writing songs. T.O. Snob: I always knew all four of you wrote songs, but it really didn't matter to me which song went with which member, I just enjoyed them for what they were. Now you're all the King Of something on the album cover. Now what makes you a shamrock?PP: It's just a thing I have. They were going to make it a club, but first of all I'm from Northern Ireland so I have a shamrock belt buckle I were all the time, I have a shamrock on a guitar strap, I have a tattoo. I've got other stuff, it's cliched but I've always had that. So when it came time to do the kings I said I wanted a four leaf clover and not a three. I was hoping it was subtle and that people wouldn't notice it, but everybody has. T.O. Snob: Is there a song in the catalogue that one of the other guys wrote that makes you think 'damn I wish I wrote that one'?PP: There's songs from everybody. We've done this album as four solo sides and now every interview we get there's always a question: 'what are the 8 songs by the other guy you love'? I'm reluctant to name songs because if I name one the other guys will say 'why didn't you like my song?'. One of my favorite songs is one is by Jay "What's There To Decide?" off our first record. He has another one "Are You Giving Me Back My Love? ", I think that's a great song too. All the guys have songs that I love. T.O. Snob: You guys have been together for 23 years now and to have all four original members still together is remarkable. What's the secret to that happy marriage?PP: The answer the other guys give is splitting everything four. Splitting the money and splitting the debt. But I think it's more than that. I think that it's being able to have empathy for other people in the band and valuing their contribution. I think it would be different if it were one guy writing everything. Then the other guys might be a little more disposable. As you say 23 years in it's hard to get the energy or the mindset to go on the road sometimes. Financially we need to do that, we're not able to retire. At the same time because we all get along and we travel with other people it's not a foreign thing. We've done it forever, it just works. We've been through some hard times, we've fought, we've been through therapy and stuff but it's just something that's valuable to us. T.O. Snob: What Canadian artists are getting you exciting right now?PP: I was really into the Odonis Odonis record. I though that was a really good record. There's a band called Alvvays, that are friends of my wife's. I like that record. There's a sound to it that reminds me of early-90s Halifax. I like the sound of it and I like those people. Generally I like heavier stuff, but I like that record. The METZ record that came out a couple of years ago was really good. I'm always impressed by what Toronto specifically can turn out. Playing festivals and getting to see bands playing, there's always new stuff happening. T.O. Snob: Thanks Patrick for all the music and thanks for your time. Being together for about 23 years is a big achievement already! No wonder why the the group was included in the list of the Top 10 Longest Running Rock Bands in History. Their talents were considered the catalyst to their success and made them one of the best Canadian bands of all time. They are just so amazing! Anyway, thank you for sharing your interview with Patrick. I really enjoy reading this one!